It’s grilling season, why bother turning on the stove when you can just throw everything on the grill…including your corn on the cob. 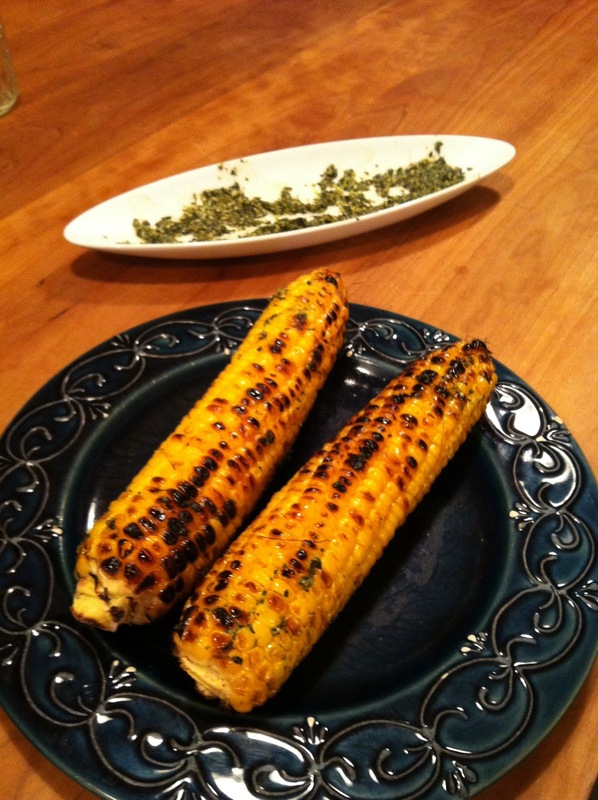 Couldn’t be any easier, simply shuck the corn and put it on the grill. Adjust the heat of your bbq so that the kernels brown slowly and turn the corn every few minutes for ten to fifteen minutes total. You want to go for a consistent look on all sides without burning, a little is okay. They’re delicious as is, smothered in butter, or covered in lime juice with chili powder; anything goes, I love them smeared with mayonnaise and a heavy coating of parmesan. Salt is always good. Last night I rolled them in a basil pesto.